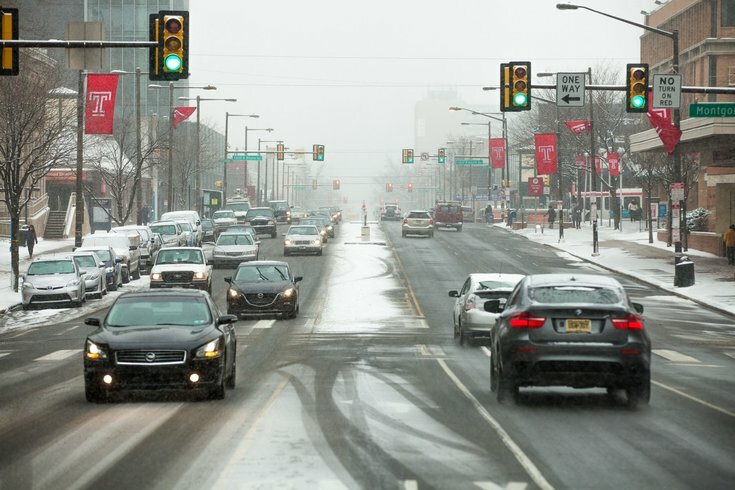 Snow falls in Philadelphia during the early part of the afternoon commute on Jan. 6, 2014. Car thefts throughout the city have the Philadelphia Police Department issuing a warning to residents about leaving their cars running unattended in the cold weather. Yes, the weekend ahead could bring record-breaking cold. And yes, you may want to warm up your vehicle and run inside for a few minutes before driving off. But police say that is not a good idea. "Free car. That's exactly what you're telling a thief when you leave your unoccupied vehicle running with the keys in the ignition," the warning reads. And it's not just your car a thief could be taking. Police are reminding residents that thieves also get everything in your vehicle, possibly even your child.